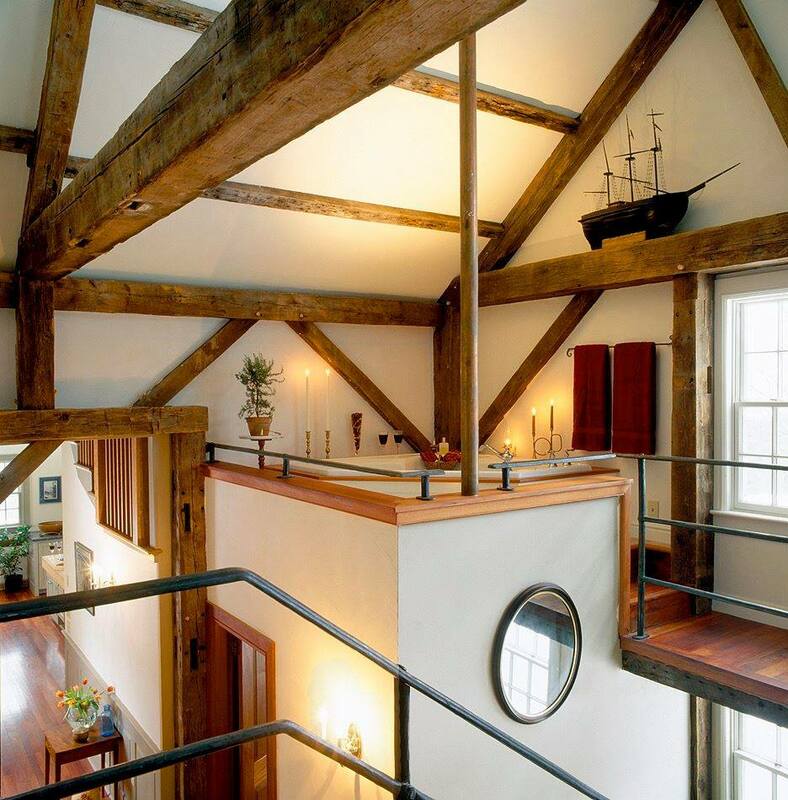 New Englanders have always loved post and beam buildings. We have constructed many in both Vermont & New Hampshire. We can locate old barn frames through out New England for our clients. We then take it down piece-by-piece and ship to their property. We reassemble the frame and proceed with finishes that allow for every technological innovation and smart energy, while still showcasing a home that has period detailing. Alternatively we can design your house from scratch. We work hand in hand with local timber frame providers that cut the frames to our specifications. While we are not just Post & Beam homebuilders, we do love the green aspect of this wood build. Timber has so many environmental benefits not found in other building materials. The level of carbon dioxide in the air is increasing significantly as a direct result of industrial activities. Even if being green is not your main focus, what you have at the end is a beautiful home with a historic feel for your family. View some of the Ennis Construction post & beam projects here. 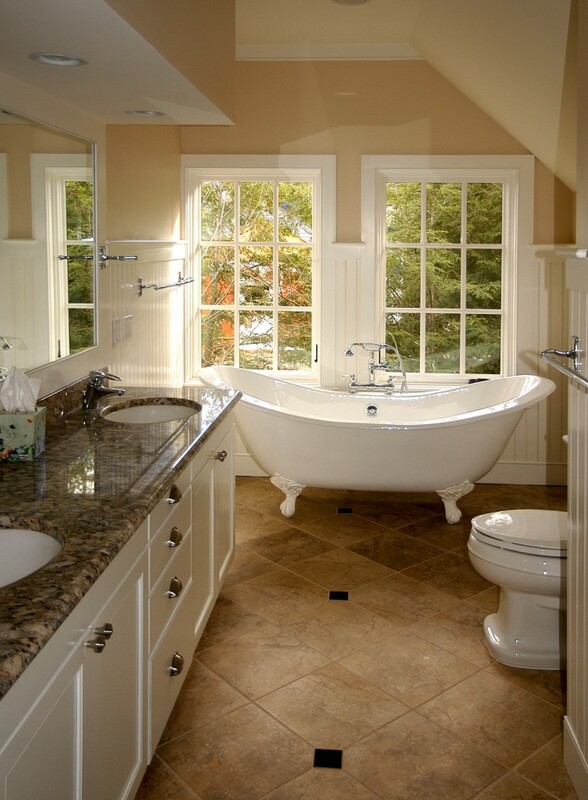 There are all kinds of questions to ask yourself before you begin on either remodeling or planning your new bathroom. 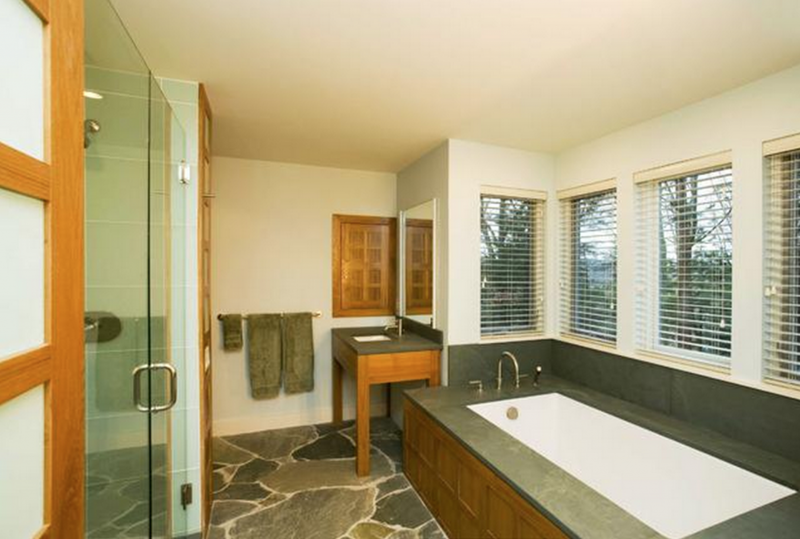 Are we looking for a corner bath, a shower, do we want a floating vanity, what kind of lighting do we want and more? However one of the biggest things to think about is do you have the space to do all of the above? And in the meantime have a look at some of the bathrooms we’ve already designed.